I was one of the folks that coughed up a lot of money in 2008 for one of the first Playstation 3 60Gb models – two months before the price drop (yup thats my luck). The reason for getting the 60Gb one was that it was backward compatible with Playstation 2 games. 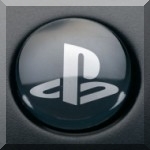 Now Sony was clever enough to remove that functionality from the PS3 (how else are they supposed to still sell PS2’s??) and ever since then I have been on the look out for another PS3 60Gb. 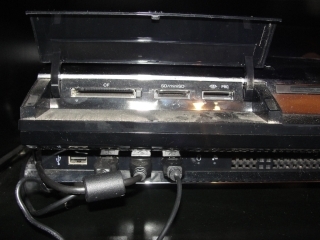 Every visit to a Cash Crusaders or a Cash Converters and I would look out for PS3’s with 4x USB ports on the front and card reader under the flap – the quickest way to recognize a backward compatible one. I pulled out my phone and did a Google search for PS3 Demonstration models and yes apparently there was something like that. These units would reboot every 30 minutes (to prevent people from spending hours playing on them in the shops); had a lot of the features locked down (so kids playing with them could not change settings) and could not connect to the PSN Network. Bummer! They also noted that these models might also be called Kiosk or Promotion models. Anyway fast forward to 2010 and by Sony removing Linux support from the PS3 consoles, they angered a very large community that now focused its attention on hacking (the until then unhacked PS3) back to supporting Linux and custom software called “HomeBrew”. Jailbreaking USB sticks then started arriving on the scene. This enabled people to start loading custom software on the PS3, and downgrading the consoles firmware to previous versions. This caused Sony to hit back with firmware update that removed unauthorized (digitally signed) USB devices from being recognized in the consoles – thereby preventing the Jailbreak USB modules from working. It became a cat and mouse game, Sony would patch and then the hacker community would find work arounds. Eventually (and I will not take sides on who has the glory of discovering it first) the Master Keys to the encryption of the PS3 was discovered and published on the Internet. With this key, software could be digitally signed as Sony “approved” and all PS3 consoles would run the code – no questions asked. The time had arrived for custom firmware! Were you able to convert from kiosk to retail? I am looking for a way to do this and still am unable to.